Collage is the creative medium I celebrate and blend into all aspects of my life. Everything seems to want to try to synergize with something else, birthing and re-birthing new ideas. About thirty years ago, I started cutting images and phrases from magazines, and produced my first individual collages into small blank cards, called the “it could be art” series. 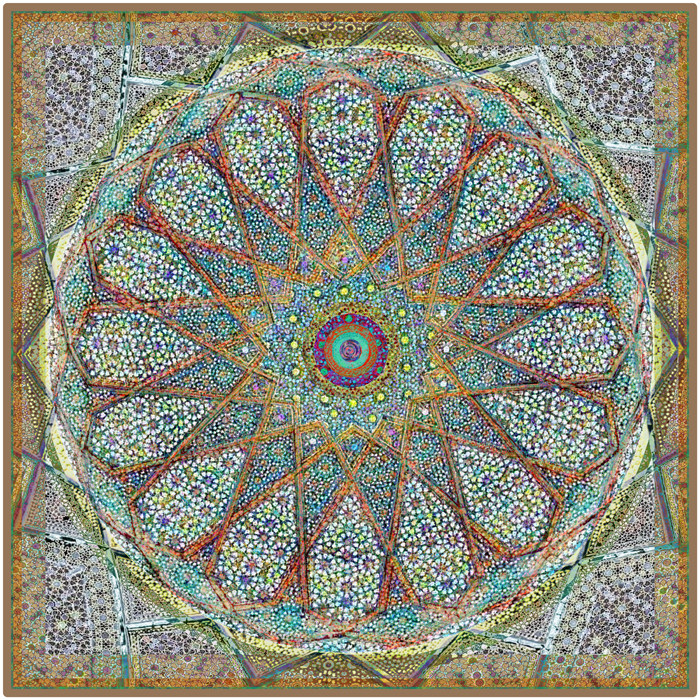 For over four decades, I’ve made mandalas (from the Sanskrit word for “container of essence”), using watercolor pencils or acrylic on canvas or, recently, from hundreds of photographic layers via photoshop. Each mandala reveals itself, layer by layer, without any pre-planning. For me, mandala-making is a deeply spiritual practice. Embracing the title of artist found reluctance in me, but art itself has never abandoned me, no matter what resistance I have felt for it. Art is a part of every moment, whether we can see it or not. 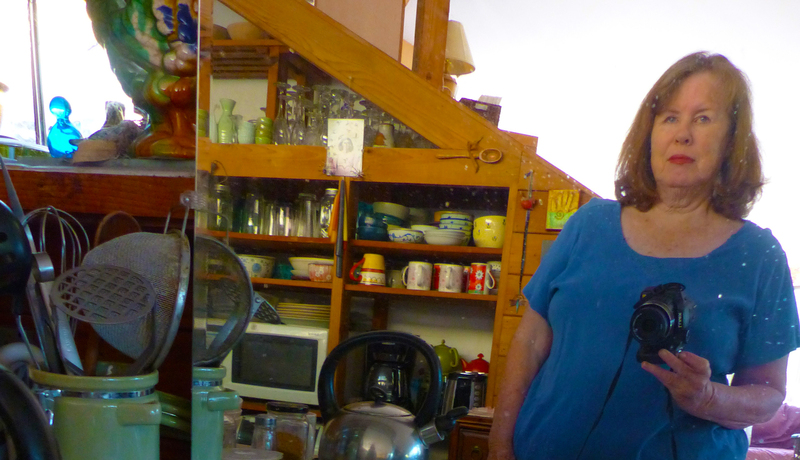 As a long time supporter, defender, and lover of the local art community, I am the founder and organizer of the Three Rivers Biennial Artists’ Studio Tour, started in 1992. The last one I organized was on March 21-22-23, 2014. Starting in 2015, the studio tour merged with the countywide South Valley Art Tour sponsored by the Arts Consortium. I have lived in Three Rivers since 1977. I came here often as a child in the 1950’s and later as an adult to visit my grandmother, aunt and uncle. It is home for my heart. In 1969, I graduated from nursing school in Atlanta. Once a nurse, always a nurse. I don’t actively work as a nurse presently, at least for an employer. I have practiced craniosacral therapy since 1998. As a teacher and facilitator, I offered retreats, called “The Deeper Well”, for several years, focusing on authentic work and moving beyond nursing burnout. Cort Cottage is the private guest cottage I have hosted since 1986, first as a bed and breakfast and now as a vacation rental. It is located four miles from the main entrance to Sequoia and Kings Canyon National Parks. I love how the cottage calendar stays open until people in need of nature, seem to find their way to this nurturing canyon home. My friends say I talk a lot (word-collage). I was born this way, just can’t help it much. I’m now living the second half of my life-collage.